You might have seen others blogs and fantasies you and you are thinking about starting you own blog, but don’t have any idea where to start. I was also the same, I too did not have any idea, but the good news is that it is really very easy then you think it might be. So, I have specifically 10 tips for you to help you starting a successful blog. Always remember that when you first start blogging, your blog is always going to be a work in progress. Choose a main topic for your blog. Just use something that interests, you that you are honestly interested in. A good tip that I have is to make a list of the things that you enjoy talking about. Look at what you enjoy reading about and this will give you a good hint into what you might want to make your blog about. Just anything that you enjoy and feel interested in is something that you can definitely speak about on your blog. Do you want to be like your personal name? Or maybe you want it to be like a brand name that you have in mind. Something unique maybe that you want your website to be called. This can be WordPress.org or any other services. So, you might have to do a little research on those two and compare them and see which type of blogging site you would want to create and which one is going to be right for you. There are many hosting providers out there. Do a little bit of research and comparing the hosting providers and seeing which hosting provider charges are less and gives you more facilities and select accordingly for your blog. So, you might want to go to theme forest or creative market. These two websites offer a variety of WordPress themes and even Squarespace themes depending on which content management system you decide to go with. When you go in there is going to be a lot of variety, a lot of themes to choose from and a lot of inspiration. After you installed your theme and did all of that you want to get into your website and go ahead and think about adding your logo. Think about if you want to. Maybe you want to hire someone to do it or you maybe want to create it yourself. If you want to hire someone to do it I recommend fiverr but if you want to design it yourself then I recommend going on creative market and check out some of their fonts and some of their personal brand symbols that you can use for your logo or maybe even local templates on creative market. Add categories to your blog. You want to think about your main topic that you chose and break your main topic up into 5-7 plus subtopics and those are going to be your categories. Of course, it can be as many as you like, as many as you feel inspired and adding to your blog. So, for example; if you have a blog and your main topic is health you can select subtopics such as nutrition, exercise, yoga, supplements etc. Then you want to add your pages which are your about, contact pages and any additional pages that you might have for your website. You also want to include an email sign up form on your blog preferably offering your freebie they need to offer. So, that you can start to build your email list. Then you want to include your social media links and also analytics. Its Google Analytics just to keep track of where your visitors are coming from and it lets you know overall the amount of visitors that are visiting your site per month. If you go with Wordpress all of these there is a plugins. A lot of plugins that makes everything so simple. May be you want to get inspired on Pinterest through a magazine. Maybe you want to make a mind map, to help you with this mind map process. I recommend using Google Keyword planner to help you think of a blog post ideas’. And just to give you an idea of what others are searching for. This is where you just pick how often you are going to be blogging, posting a blog, post on your blog, and where you are going to post it once a week let’s say for example; you are going to post a blog post every Saturday. So, you should have your content calendar that you want to write down the blog post you are going to be posting for that Saturday. Scheduling your blog post undercounting calendar. Just keep me focused on work content you are going to be producing next for your blog and it will help you to be more consistent and more productive. Join Social media groups like Facebook, Twitters, LinkedIn and Pinterest group boards that relate to your blog topics. Then when you post a blog post on your blog, you want to share them. When finding Pinterest group boards, I recommend a web site called Pin Groupie. This website just lets you type in a keyword; like the main topic of your blog and depending on what topic your blog is. It will show you all group boards that are related to your search. Blogging goals could simply be how many email subscribers you want to gain in the next six to twelve months. How many visitors you want on your blog? How many products you want to create for your blog in the next six to twelve months? And do you want to work with any sponsors? Just know that you only want to work with sponsors that align with your blogging brand and your lifestyle. Do you want to monetize your blog using Google Ads, media.net or something similar? 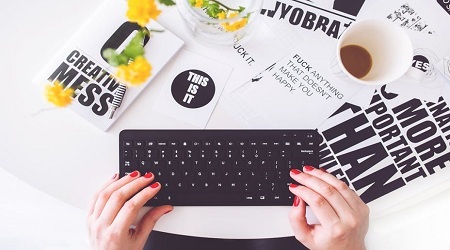 These are just some of the blogging goals that you can write for yourself. There are so many blogging goals that are available for you to choose from. So, those are my ten tips to start a successful blog. I really hope that these ten tips help you start a successful blog.